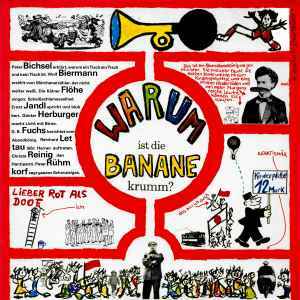 Various ‎– Warum Ist Die Banane Krumm? Comes with huge fold-out poster with lyrics. Distinguishing marks to different pressing: price on the front cover (on the sign to the right) is 12 Mark, the field on the lower right of the back cover advertises 7 other Wagenbach releases.